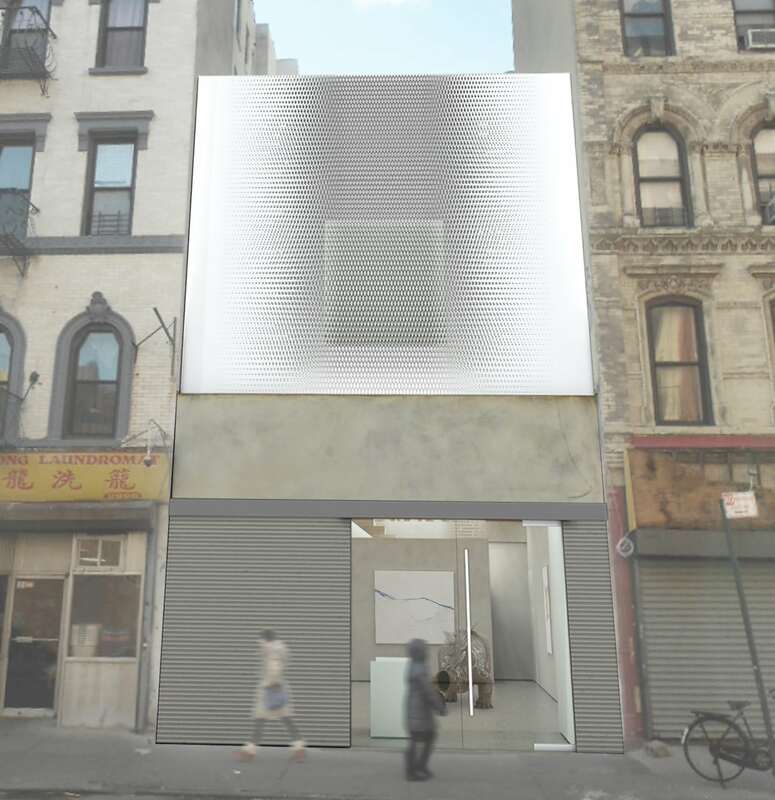 Buro is commissioned to renovate and expand an art gallery in the Lower East Side. 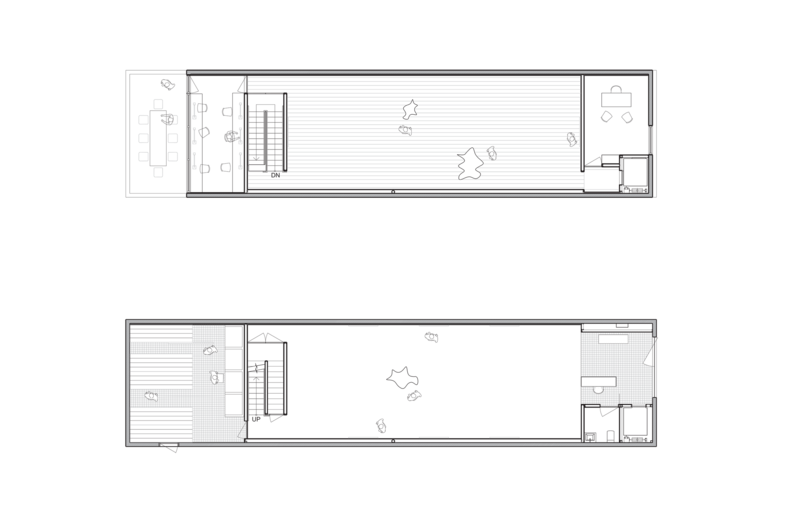 The existing gallery occupies a one story building. 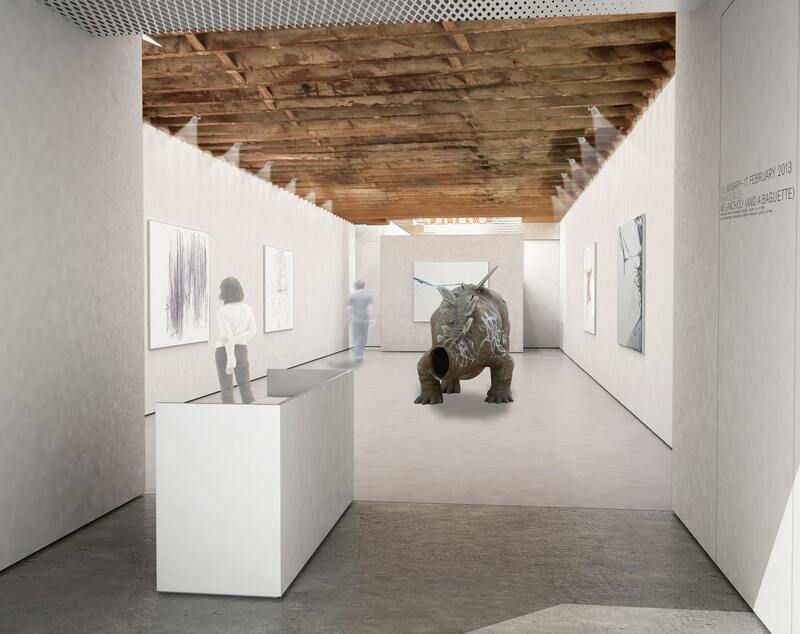 Scope of work is to renovate the existing gallery and to add a new second floor to double the exhibition space and offices. An important feature of the existing space is its original wood beams. 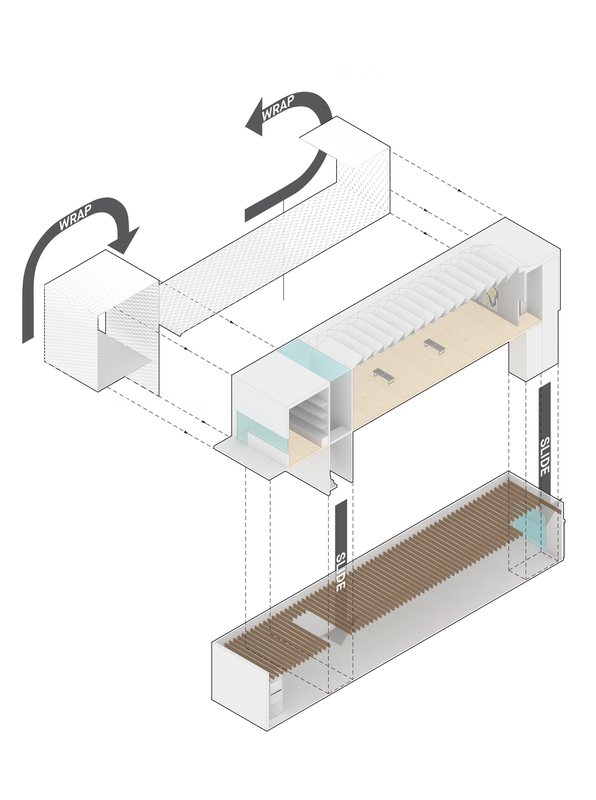 The idea for the 2nd floor addition is to create a concrete box that sits carefully above the existing space. 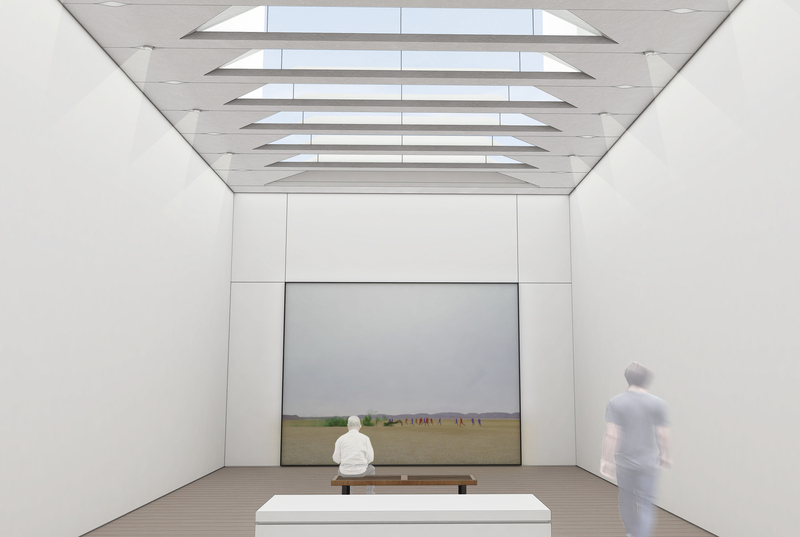 The proposal creates a custom concrete beam system which will mimic the existing wood beams but also will allow northern light to the new gallery through its custom shape.